Identify all the potential companies that are eligible for the job at hand. Enquire from friends and relatives who have had a swimming pool built on their property. Request them to recommend you a good contractor they may know out of the experience. The world is a global market courtesy of technology where everything is accessible online. Are they members of the Master Pool Guild? This is a network of pool designers and builders. The guild members keep up with pool designs. After obtaining a list of contractors and their contacts, ask them to come to your house and see the layout of the yard, or you can visit their company to have a one on one talk. How was their previous work rated? Hire one that gathered more ratings. Go through your phone book and look if there is anyone who may knowledge about contractors. When you are meeting with the potential contractors its good to know their job experience. Seek to have an honest, forefront and a good communicator you can work with. Ask them the kind of swimming pool that they would recommend for your backyard. Sometimes one is not decided the type of pool to construct. Ask the contractors to hand in bids or different swimming pools. These will help you determine the cost for different pools. In the bid let them include the schedule the starting time and the time of completion. It should also have all the materials to be used all written down. It is also advisable that you review the bid together in case of any clarification. Let each contractor submit their credentials. These will tell you whether the contractor is licensed and insured or not. Liaise with other better business bureau to know the number of complaints filed against the potential contractor and how they were solved. You can also look online for the pool ratings. Before hiring, get to know the last three employers of the potential contractor. Confirm with them. Let them tell you whether they can hire them again or not. The information you gather will tell you whether they can conduct a good job or not. Renown contractors have attendances of charging more. Consider the contractor’s experience and is the contractor somebody you can work with for a long period? Consider maintenance services. Hiring a company that offers maintenance services is an added advantage because they are familiar with the pool and are likely to serve better. 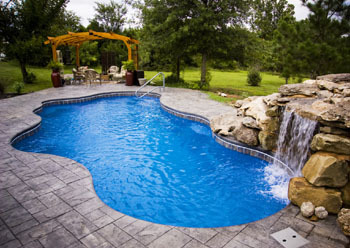 Are you looking forward to hiring a contractor for your pool? These few pool rating tips will help you make good decisions as you select your employer. Remember the contractor will work for you for quite a period, therefore, consider all the above-mentioned pool ratings tips to reach out to the best. Avoid disappointments.